City planners are recognizing the lack of well-marked routes leading to the Lake Erie shoreline and attractions like Canalside. 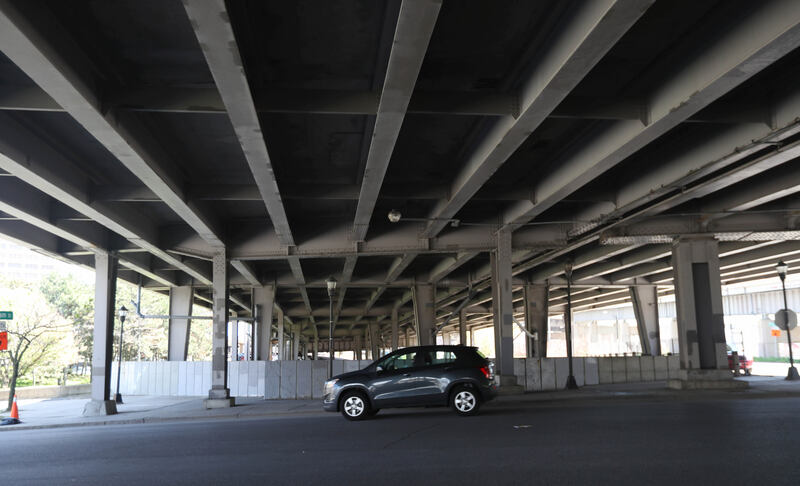 Sure, Erie Street will get you there, but only through a maze of uninviting highway pillars and other impediments that hardly qualify as enticing. "Especially for people from out of town, it’s been very difficult to find our waterfront,” said Brendan Mehaffy, the city’s executive director of strategic planning. “The historical connector has been Erie Street. But it goes left and right and right and left, and is not clear and conducive to traffic." 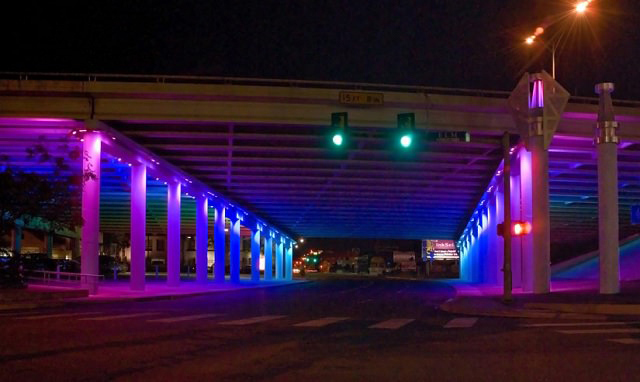 Guiding pedestrians through the Niagara Thruway and Skyway supports along Erie Street and beyond with well-marked and lighted pathways. Better connecting the Erie Community College City Campus to the west side of Main Street and new pathways to the waterfront. Revitalization of the small islands of green known as Firemans Park and Five Flags Park along Division Street to provide a more linear and direct connection to waterfront routes. City officials have talked about straightening Erie Street for almost 20 years, Mehaffy said. “It will require a lot of physical change down there," he added. The idea is to invite natives and visitors alike to the waterfront and guide them through the man-made impediments that sprouted over the years, according to Brandye Merriweather, vice president of the Buffalo Urban Development Corp. – a City Hall agency. The concept also works in reverse with economic development goals. “If you’re at Canalside and you’re not familiar with downtown, then you don’t know how to get to the restaurants and retailers that are just on the other side,” she said. Nothing through the “maze” points either way, she said, toward Canalside or downtown. “We want to make it more walkable and more comfortable,” she said. Merriweather pointed out that sporadic efforts have attempted to entice pedestrians over the years. Various pocket parks dot vacant space under the Skyway ramp along Lower Terrace, but she acknowledged they are rarely used. A $5.6 million state Department of Transportation project underway is expected to complement the Erie Street project by replacing sidewalk, pavement and bicycle lanes along North and South Division streets between Main and Elm streets, and on Elm and Oak streets. DOT said the project will comply with Americans with Disabilities Act standards and include new curb and wheelchair ramps at existing intersections. Pedestrian signal equipment will be upgraded with pedestrian push buttons that allow walkers to view a countdown timer, according to DOT. The countdown will warn walkers when they can expect the traffic signal to change.